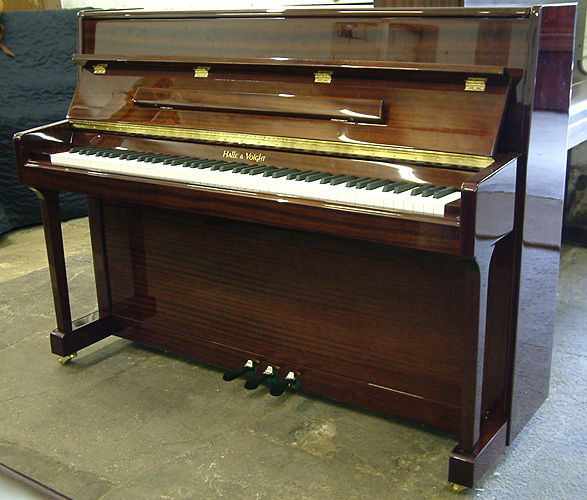 Mahogany Halle & Voight Model Upright piano for sale: Specialist piano dealer, trader and wholesaler. Besbrode Pianos Leeds Yorkshire England UK. A Halle & Voight upright piano with a mahogany case and polyester finish.